How Does Cardiorespiratory Endurance Affect Physical Fitness? You know that improving your cardio endurance will lead to better physical fitness. 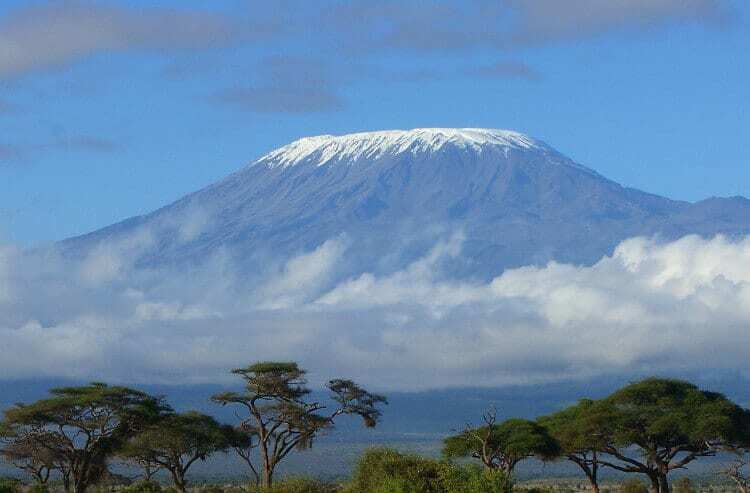 Do you think getting more fit is as remote as climbing Mount Kilimanjaro? Especially after the age of 50? Well, gaining fitness is more than possible, it is definite. This post will focus on which aspects of your body will most benefit from cardiorespiratory endurance. Maximal aerobic power is another way of saying VO2 max. This refers to the ability of your body to use oxygen. The bigger volume of oxygen that your body can use during exercise, the longer, and faster you can go. Improving your cardiorespiratory endurance will affect your maximal aerobic power. You will increase your body's ability to deliver and use sufficient oxygen to meet the metabolic demands of your muscles. In short, you will increase your body's VO2 max. Your VO2 max will predict your aerobic endurance. VO2 max refers to the maximum amount of oxygen that an individual can utilize during intense or maximal exercise. The V stands for volume and the O2 means oxygen, thus, VO2 max means the maximum volume of oxygen that your body can utilize during intense exercise. The units used to measure VO2 max are milliliters of oxygen per minute per kilogram of body weight ( ml/min/kg). As cardiorespiratory endurance increases, so does your VO2 max increase. As VO2 max increases, so does your ability to sustain intense exercise. Once you exceed your aerobic capacity to fuel exercise, your body switches fuel systems. You have 3 fuel systems that provide energy to your cells, specifically ATP (Adenosine Triphosphate). Fat plus oxygen is the aerobic system and is processed in the mitochondria of your cells. While you are walking, you are using your aerobic system. Even a small jog, might still be the aerobic system. There is a point, when the exercise becomes more intense, that the aerobic system is not sufficient. The processing of fat and oxygen in the mitochondria is a slow process. That is why, slow, long distance endurance exercise is fueled by the aerobic system. If you just thought that marathons must be fueled by the aerobic system, you are right. That is also the reason that world class marathon athletes have little fat on their bodies. As the speed of an exercise increases, the body switches to using glucose. This is because there are stores of glucose in your cells called glycogen. The processing of glycogen in the cell is much more rapid than getting fatty acids from outside the cell to mix with oxygen in the mitochondria. The first step of processing glycogen is called glycolysis, when the glycogen is split to produce ATP. There is a subsequent step of processing the result of glycolysis in the mitochondria as well. However, the initial step of glycolysis produces lactic acid in the cell. Lactic acid then becomes lactate. When your body can no longer remove the lactate from your cells, you fatigue and stop moving. This is called the lactate threshold. When you increase your cardiorespiratory endurance, you increase your lactate threshold. A higher lactate threshold enables you to sustain exercise for a longer period. Exercise economy means that you become more proficient in your chosen sport or activity. If you are a runner, the more you practice, the better your running technique becomes. The more you practice swimming, the better your technique becomes. The better your exercise technique, you become more efficient in your chosen sport/activity. An increase in cardiorespiratory endurance, will mean an increase in exercise economy. Improving your cardiorespiratory endurance will improve your ability to burn fat. As we mentioned above, burning fat together with oxygen is the aerobic fuel system. When you have a short burst of intense exercise, your cells use a third fuel system not mentioned above. Remember that we first mentioned the aerobic system which uses fat and oxygen. The second was anaerobic, using glucose. The third is the creatine phosphate system, which is only good for 10 or 15 seconds of intense exercise. Improving your cardiorespiratory endurance will improve your aerobic system. You will become more proficient at burning fat. Yes, you will lose unwanted fat if you train your aerobic system. Now you can see why aerobic exercise to burn off fat is preferable to starvation diets. A diet will not train your body to be more efficient. No diet will improve your cardiorespiratory endurance. Eliminating certain food types will not improve your physical fitness. Sure, you can prevent some of the negative effects of processed foods. But, to improve your physical fitness, guess what, you have to practice physical fitness. The body reacts to demands. If you give your body specific overload, then your body will adapt and work to meet these demands. All you have to do is start moving. If you want to be a runner, run, a swimmer, then swim, play soccer, then play soccer. Of course, you need to use the overload principle in order to see change. We will discuss the overload principle just ahead. You have several fiber types of muscles in your body. Type IIx or fast twitch, which are better for anaerobic exercise. And Type IIa, or slow twitch, which are better for aerobic exercise. An individual with more type IIa than most other people will probably be great at long distance running. This is why winning the gold at the Olympics is not just about training. There is also the element of genetics. Average people have an even split of type IIa and IIx muscles. Above average have more of one type than the other. However, training aerobically can increase the oxidative ability of your type IIx muscles. So, how does cardiorespiratory endurance affect physical fitness ? Now, if you want to know how to improve your cardiorespiratory endurance, you need to use the overload principle. Every good cardiorespiratory program will use the overload principle. In fact, any good exercise program design will use the overload principle. The overload principle states that in order to change the body, you have to increase the load. No overload, no change. Overload results in change. If you place additional demands on the body, then your body will adapt. Make your body do more cardio than usual in order to create change. Fortunately, we have scientific studies to help guide us to cardiorespiratory fitness. We want to have the most effective change based on evidence. First, let's get clear that you need to use the overload principle. If you keep doing the same cardio workout that you have been doing for years, you will keep getting the same results. If you want different results, you have to change the workout. The overload principle works for resistance training such as a deadlift program as well. If you are wondering why your muscles are not growing, you are likely not using the overload principle.